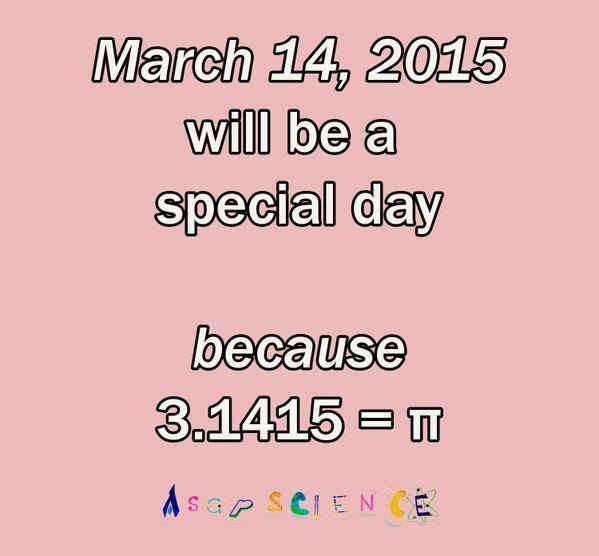 Today is a very special Pi Day. ~~ At 9:26:53 AM because of 3.141592653. ~~ Right About Now. Thank to the always entertaining and informative ASAP Science! Gooops! This could be good for bar/nightclub event promotion when it’s ready for prime time. ~~ Nothing could be more inspiring to me than to see political groups put aside polarization and the “us vs them” mentality to join in a mission to improve our country for all citizens. Here is the fascinating back story of 2 unlikely allies from the left and right edges of the political spectrum who united to drive the recently successful effort to re-establish Net Neutrality. ~~ “When it comes to protecting Internet freedom, the Christian Coalition and MoveOn respectfully agree,” read the New York Times ad. MoveOn was the largest progressive organization in America, and the Christian Coalition a key group for conservative religious activists. They’d been on the other side of myriad issues, but never teamed up on anything before. Read here how the Christian Coalition and MoveOn Joined to Help Save Net Neutrality. Wow – cassette tapes come back from the dead in a big way. Since Apple shows no respect for the roots of its success by killing off iPods, there’s room for a new way to store all our music in a mobile format. This new cassette might not be the solution, but there’s an opportunity as those of us with huge personal collections lack a way to carry, playlist and listen to our music.